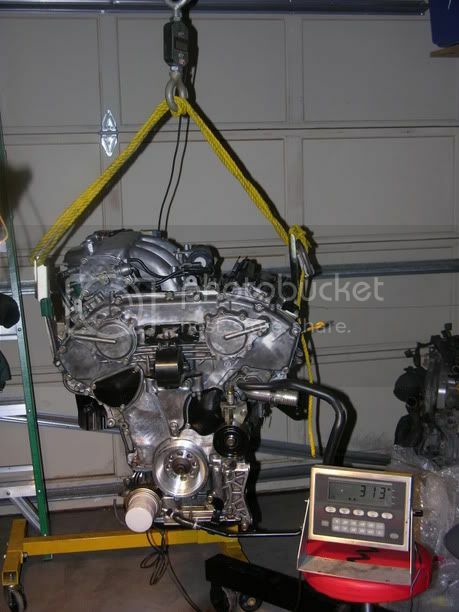 How Much Does an RB26 Weigh? 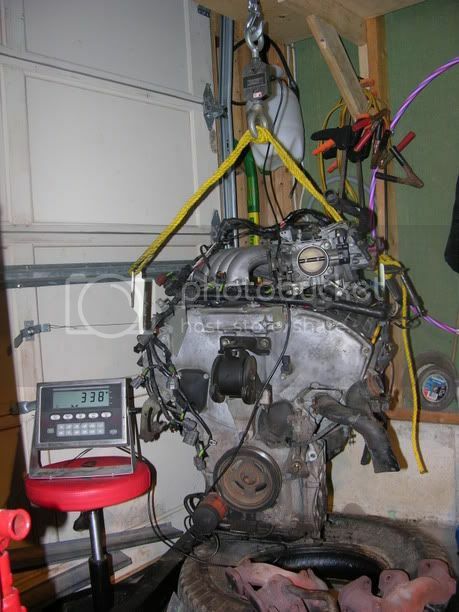 How much does an RB26DETT weigh? Its a question that gets asked a lot in automotive circles. The lighter something is, the easier it is to accelerate, brake, and turn. The lighter a car is, the easier it is on equipment like brake pads, and tires. I weighed some RB26 parts myself several years ago. Some of the other information is gathered from the internet. Never believe anything you read on the internet. Cast turbo outlets - 6 lbs. Total of around 406 lbs . This is still missing lots of bits and pieces . All the intake manifold stuff , the throttle bodies , sensors , oil cooler .Lines , Inlet piping , coil pack , belts , flywheel/clutch. 417 lbs with all major parts. VR38DETT Fully dressed - 608 lbs. Here is some information I gathered of some forum somewhere. Some of the information is just guessed, like RB26 weights at 550-700+lbs. VQ30 Shortblock - 127lbs weighed by JClaw on his bathroom scale - including rotating assembly, no heads, no timing cover, and of course no intake manifold. VQ30 long block - 246lbs weighed by ME at aluminum recycling facility. No intake manifold, obviously including rotating assembly, block, heads, timing equipment. VQ30 long block (different one than above) 315lbs - lifted by my buddy and I onto bathroom scale at my buddy's house with no problems whatsoever. VQ35 long block component pieces weighed on shipping scale by eng92 - 277lbs - block, heads, rotating assembly.